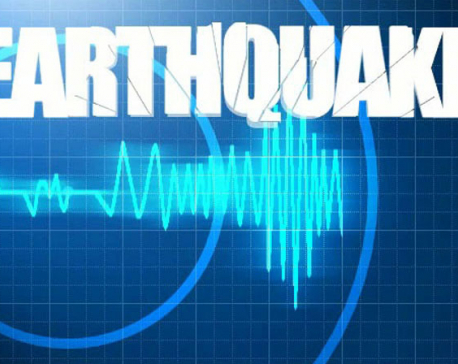 KATHMANDU, April 24: Kathmandu and neighboring districts were hit by two earthquakes early morning today. The first jolt took place at 6:29 AM. 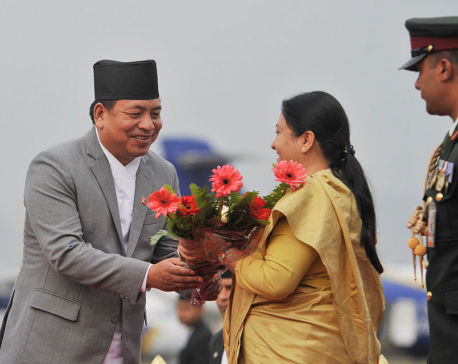 President Bidya Devi Bhandari is leaving for a state visit to China today to participate in the second Belt and Road Forum for International Cooperation, being held in Beijing. 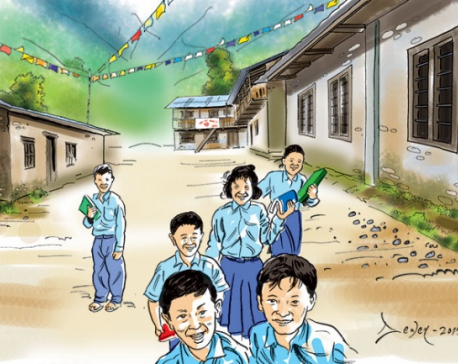 Kathmandu, April 23: The reconstruction of 4,476 schools that were damaged by the April 25, 2015 Gorkha Earthquake and its subsequent aftershocks has been completed so far. 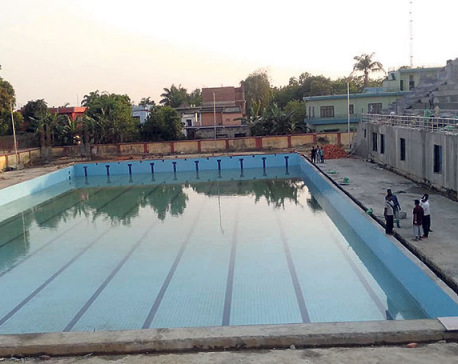 NEPALGUNJ, April 22: Nepalgunj’s swimming pool complex has failed to meet the international standard even after its supposed completion during the Eighth National Games in Nepalgunj, Banke on Sunday. 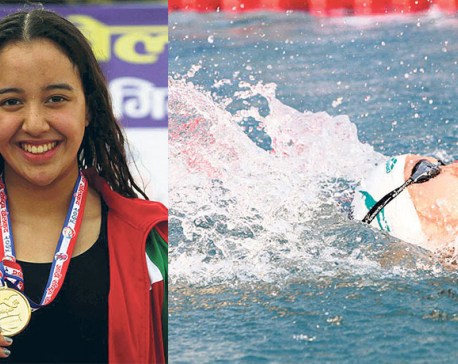 NEPALGUNJ, April 22: Gaurika Singh of Tribhuvan Army Club and Armed Police Force (APF) Club duo Subham Shrestha and Tenzing Gurung set new national records in swimming in the ongoing Eighth National Games. 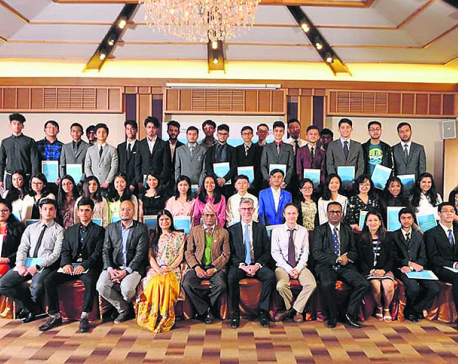 KATHMANDU, April 22: Ministry of Foreign Affairs and Embassy of France in Nepal on Saturday jointly hosted an official function to mark and celebrate the 70th anniversary of the establishment of bilateral relations between Nepal and France. 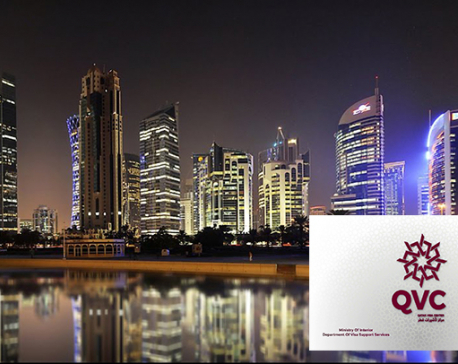 KATHMANDU, April 21: The Qatari government has confirmed that the visa center will bear all the expenses of the medical test and process of the contract. 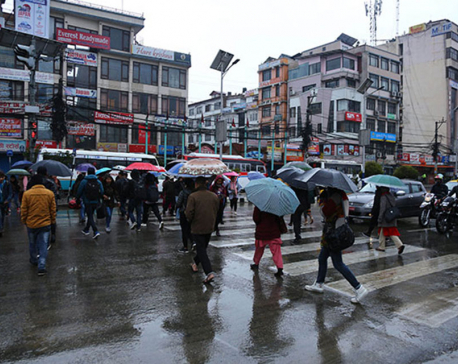 KATHMANDU, April 21: The Weather Forecasting Division of the Department of Hydrology and Meteorology has said that most of the parts of the country would witness thunderstorm and light rainfall for the next three days. 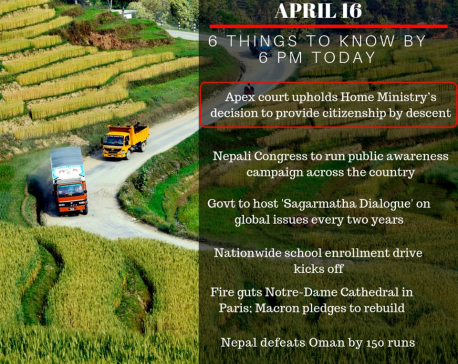 KATHMANDU, April 20: Minister for Foreign Affairs Pradeep Kumar Gyawali has urged all civil servants to join the campaign to fully implement federalism and make ‘Prosperous Nepal, Happy Nepali’ a success. 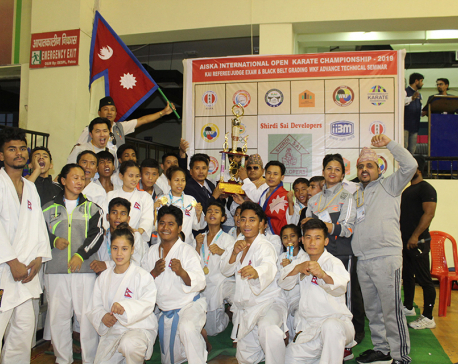 KATHMANDU, April 20: A national team of the Japan Goju-Ryo Karate Do Mission Association left here today for India, representing Nepal in the International Karate and Kick-boxing Championship to be held in Patna, India. 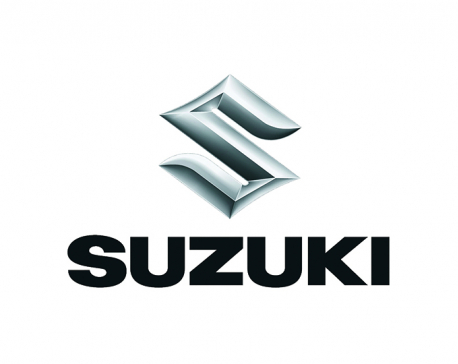 The 35-member team is led by association's chief instructor KB Rana (Kaji). 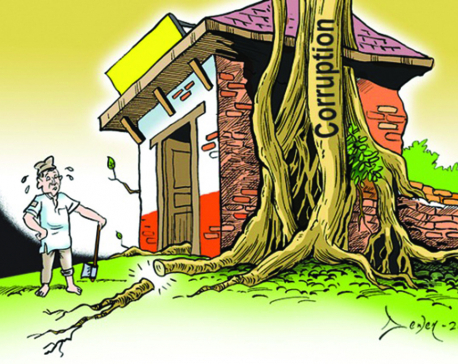 DHANUSHA, April 20: State 2 government has initiated a process to make state-level appointments on the posts lying vacant at the ministries and local levels. 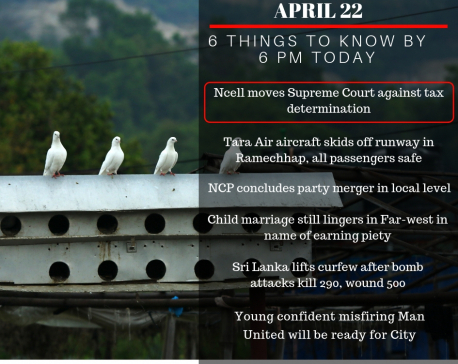 GAUSHALA, April 20: The Central Child Welfare Board has rescued 28 children from India. 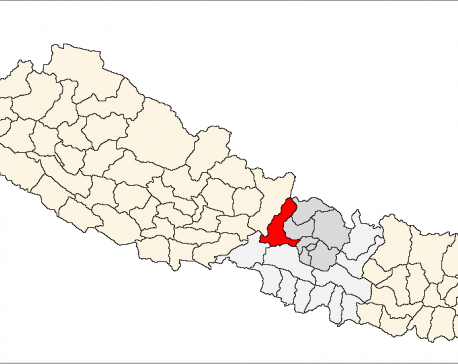 The children had been taken to the neighboring country from Mahottari, Dhanusa, Siraha, and Sarlahi on different pretexts. 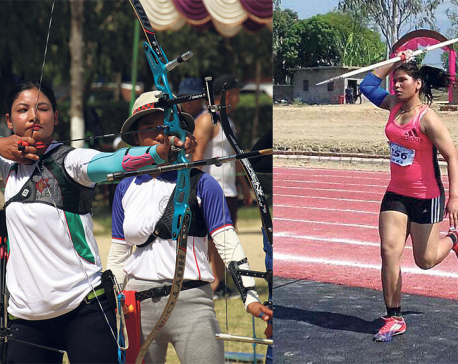 NEPALGUNJ, April 20: The first round of the 24th National Men’s and 23rd National Women’s Shooting in the Eighth National Games at Shooting Range Hall of the Nepalgunj Stadium premises was canceled abruptly due to the underprepared venue on Friday. 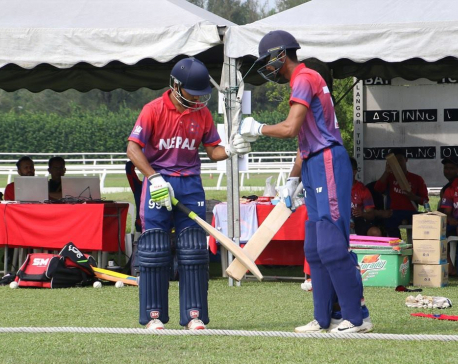 KATHMANDU, April 20: Nepal Police Club defeated Gandaki Province by 28 runs to continue its winning streak in a T20 match during the ongoing Eighth National Games held at Siddharth Stadium in Bhairahawa on Friday. 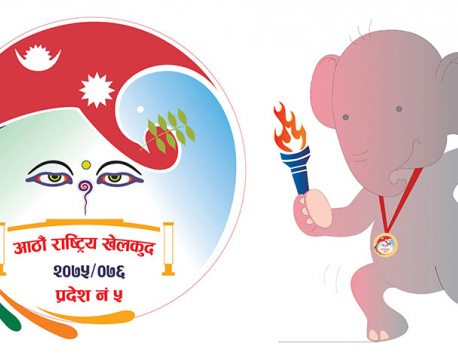 DANG, April 20: Departmental team Nepal Police Club’s Chandrakala Lamgade has improved her own national record on second straight day in two different sports of the ongoing 44th National Athletics Tournament at the Eighth National Games in Dang on Friday. 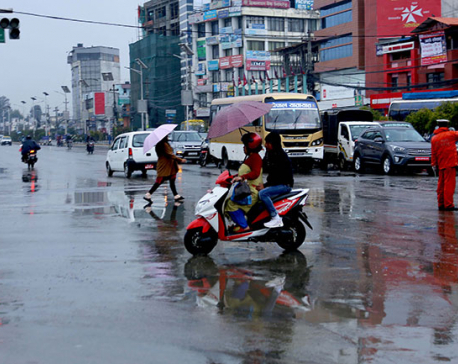 KATHMANDU, April 20: The pre-monsoon has been more active in Nepal this year compared to last year, according to the Department of Hydrology and Meteorology (DoHM). KATHMANDU, April 19: A high-level interaction has been held between a trade delegation led by Taiwan External Trade Development Council and Nepali businesspersons here on exploring avenues for investment and trade expansion. 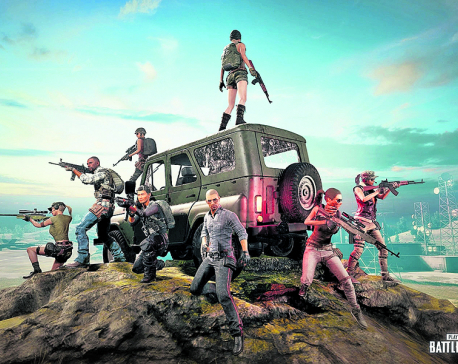 KATHMANDU, April 19: The Supreme Court has issued interim order in the name of the government not to implement the decision to ban PUBG, a popular first person shooter multiple-player online game. 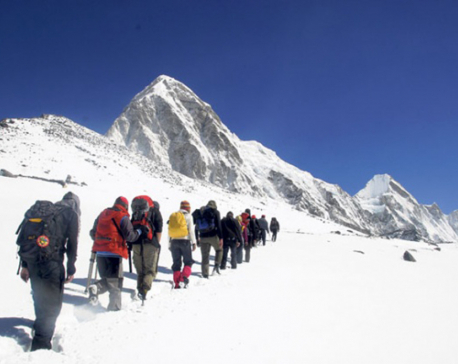 KATHMANDU, April 19: Phurba Tenzing Sherpa, a 13th times Everest summiteer, is launching tourism awareness drive by hoisting a flag reflecting logo of the campaign from atop the world's highest mountain. 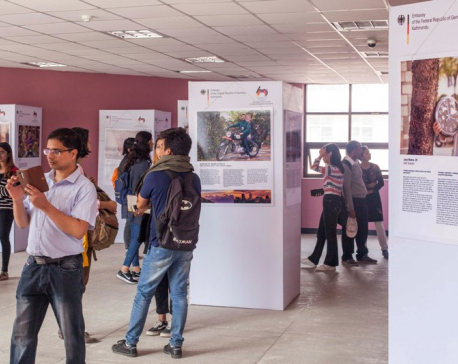 As part of the campaign, he is shedding light on the ‘Mero Gaun Mero Thau’ (My Village, My Place) campaign from the summit of Mt Everest this spring. 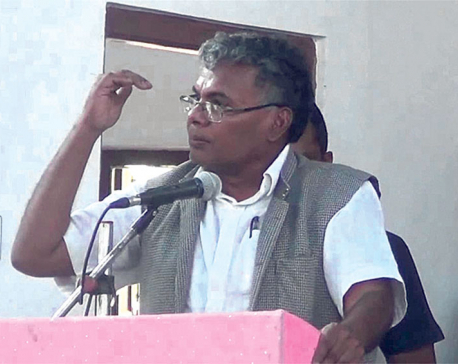 KATHMANDU, April 19: Minister for Industry, Commerce and Supplies of Nepal Matrika Prasad Yadav has urged ministers representing different countries to push investment flow in Nepal. 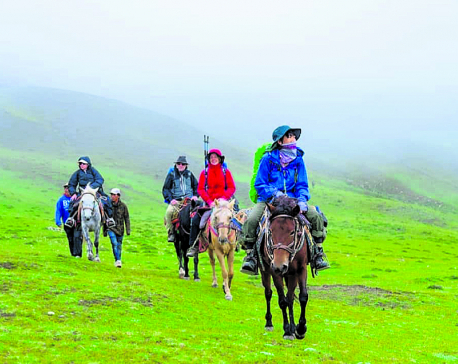 At first, the kid seemed like any other kid his age – head down engrossed in his mobile phone as we sat in a hotel lobby. Then started what can only be described as frantic, almost hysterical screaming at his phone as he started relaying instructions to someone via his earpiece imploring them to go left, right, or kill. 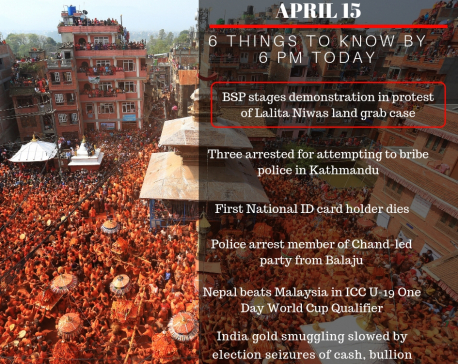 KATHMANDU, April 19: Nepali scientists launched a satellite on Thursday morning in the very first such endeavor. 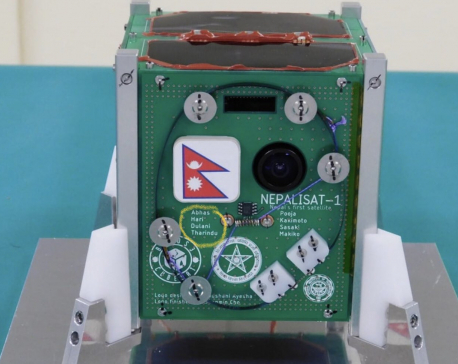 The satellite has Nepal’s national flag printed on its side. 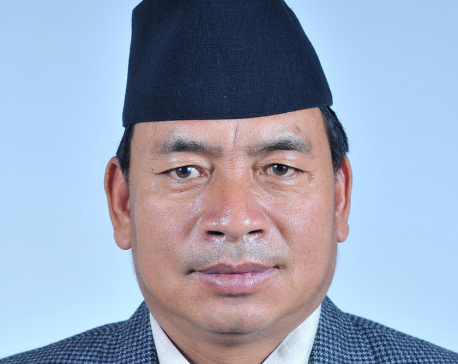 KATHMANDU, April 18: Vice President Nanda Bahadur Pun has said it was a matter of pride and happiness for Nepal to participate in the space. KATHMANDU, April 18: Nepal’s 14-member U-16 cricket team has been announced to participate in Asian Cricket Council (ACC) U16 Eastern Region 2019 which is going to be held in Chiangmai, Thailand. A selection committee headed head coach of senior national team Jagat Tamata selected finalized the squad on Wednesday. 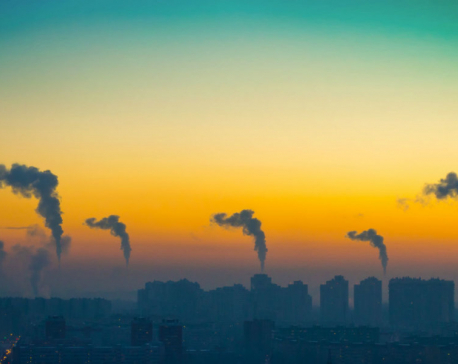 KATHMANDU, April 18: The government is preparing to host a dialogue on climate change issues by July as a part of the newly launched initiative called Sagarmatha Dialogue. 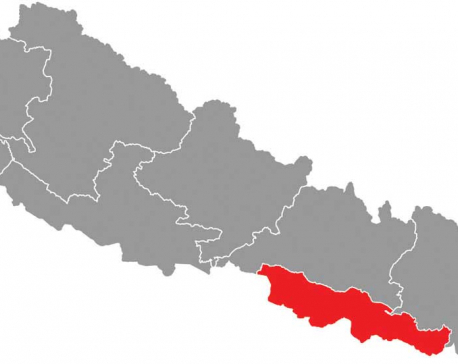 KATHMANDU, April 17: Nepal has made a significant progress in maternal health and family planning since 1994, according to a recent report of the United Nations Population Fund (UNFPA). 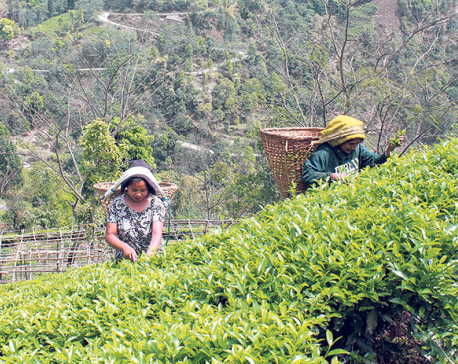 However, reproductive rights still remain out of reach for many women in Nepal. KATHMANDU, April 16: Nepal U-19 national cricket team has made a triumphant comeback in the league defeating home team Malaysia U-19 by eight wickets after an upsetting DLS method loss against the United Arab Emirates to keep the qualification hopes alive in the ongoing six-nation ICC Asia U-19 World Cup Qualifier in the third round of league matches played at Bayuemas Oval in Kuala Lumpur, Malaysia on Monday. 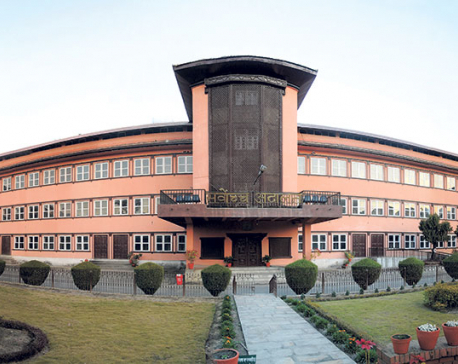 KATHMANDU, April 16: Governance experts have called on the government to revise the Decoration Act-2007 to restore the sanctity of the civilian awards. 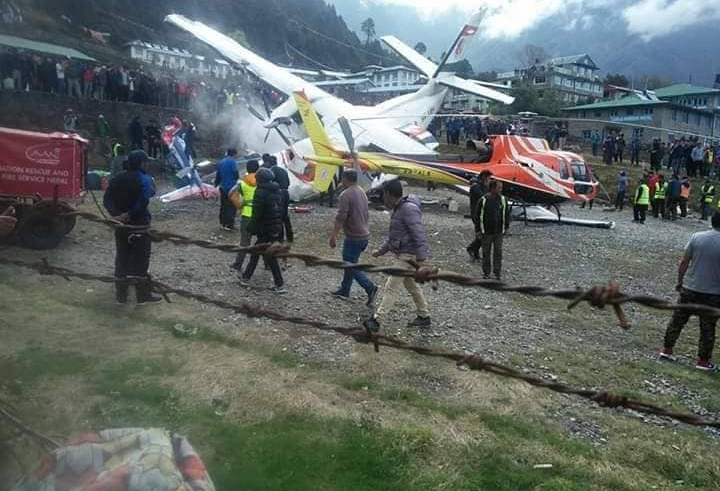 KATHMANDU, April 14: Three persons killed when a Summit Air plane met with an accident while taking-off from Lukla today morning, Nepal Police confirmed.